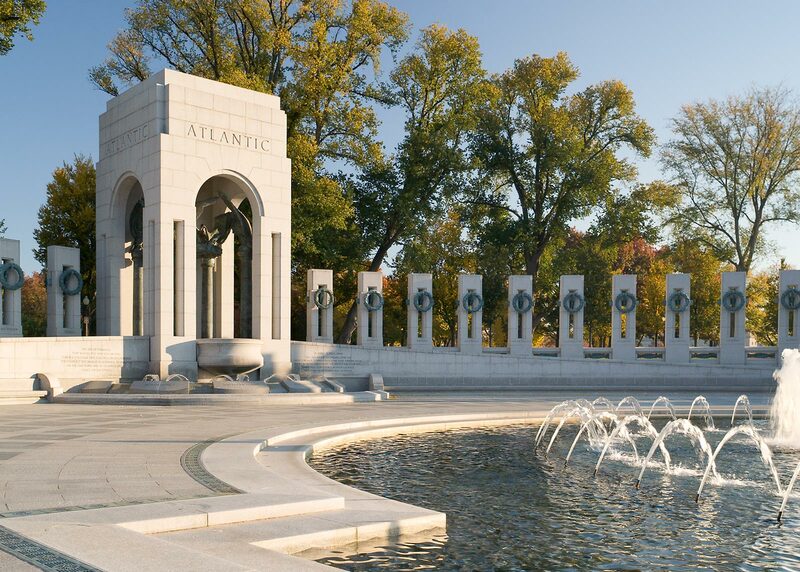 Symbolic of the defining event of the twentieth century, The National World War II Memorial honors the 16 million who served in the United States armed forces, the more than 400,000 who died, and the millions of others who supported the effort from home. 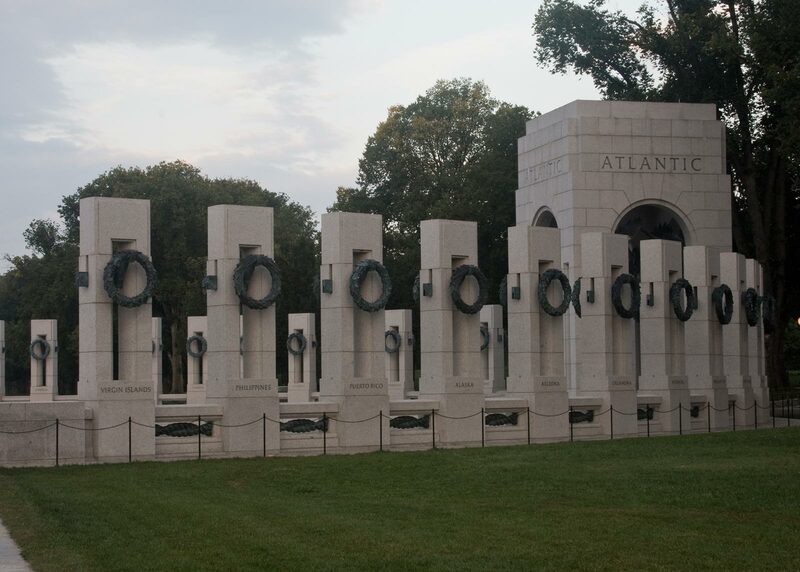 The memorial was designed to nestle comfortably within the mall’s greater park-like setting. 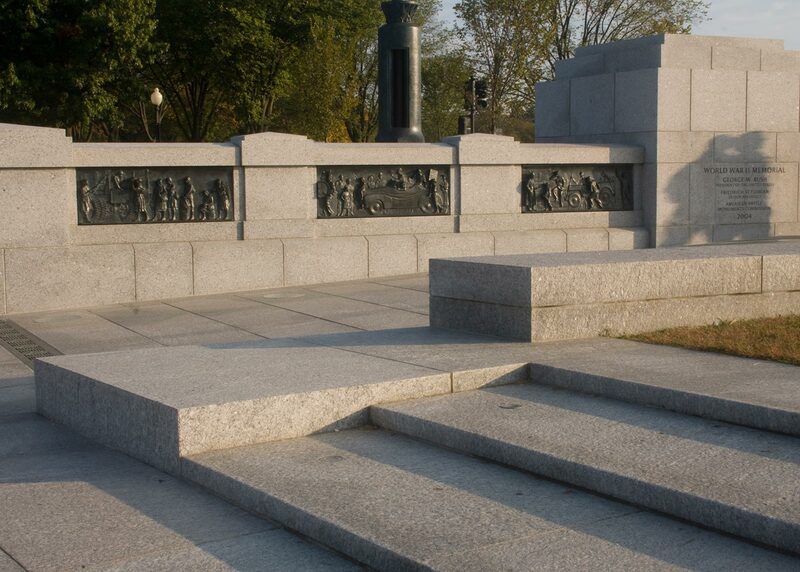 The landscape design approach for the seven acres of plantings that surround the memorial worked with the historic framework of the National Mall, preserved the historic elm trees, and provided naturalistic plantings that integrate well with the pastoral and informal setting of Constitution Gardens. The landscape memorial grounds feature a contemplative area at the northwest corner of the site, with canopies of flowering native trees and expanses of lawn.